Money in Motion satisfies the requirement for pre-discharge bankruptcy education. This course gives you the information you need to handle your money and credit with confidence. In this eight-chapter course, you'll learn about budgeting, your credit report and credit score, setting financial goals, and organizing your financial records. You'll also learn the steps to take to cope with financially challenging situations. By applying what you learn in Money in Motion, you'll have the skills you need to start again financially after bankruptcy. Learn to develop financial goals and a budget that can get results. When you set goals, you can achieve more than you thought possible. A budget based on your goals will help you spend your money carefully so you can get more of the things you want. Understand your credit report and credit score. Credit is a financial tool that can benefit you. You can learn to use it carefully so that it enhances your life. Learn about financial tools that can help you manage your money.These tools include methods of payment that you use – such as cash, debit cards and credit cards – and also methods for saving money, such as comparison shopping. Learn how to organize your financial records. Keeping receipts and other financial records in order can save you money and can help you be well-prepared for tax season. Learn about contracts and consumer laws and the ways they affect you. Contracts are everywhere; find out what you should know before you sign one. Money in Motion will help you become an educated consumer who knows where to find help when faced with scams and other problems. Learn the appropriate steps to take when you're facing financial difficulties. We found this course to be quite beneficial. More than once we found ourselves saying "Yeah, we did that" when the program talked about examples. Thank you. I was blown away at the information we learned. I'm truly going to do the budget sheet, starting over fresh in 2014. I was skeptical at first as to whether or not this would be helpful, even though it was a requirement. I was very pleased. I am so very thankful that I learned some things I did not previously know, and I am encouraged from the information I obtained by taking this course. The content was concise and easy to understand. Examples were presented clearly and relevant to real life situations. I found this program very helpful for me to become a better money manager; not to be afraid of money matters. Thank you. The online course was very convenient. We wish we had done this years ago. The course was written in an easy to understand format which I actually enjoyed. I learned a lot and was able to get all my post-course test answers correct. I would highly recommend this course to anyone. It would be very helpful to high school and college students, newlyweds and well, really anybody - I am 72 years old and thought I had my financial life under control, but life threw me a curveball. Thanks. A wonderful program, well put together and easy to get through. I find I am retaining this organized material very well. This class was very helpful. I like that I could log off and take a break without losing my time. Very useful course. Reinforced areas that I knew, but ignored. It was a well-organized course and provided a good learning experience. The course was very interesting and informative. There were a lot of topics I was slightly familiar with; however, after taking the brief class, it has opened my eyes to the many ways I can achieve the things I not only need, but want. After the class, I learned that I should put myself on the payroll as well, and start saving even with the smallest amount. Thanks for the bringing knowledge which will allow me to be better prepared in financial situations. This course was very helpful, and we plan to use the goal setting and budgeting tips in the future. I am thankful for this course. I wish I had taken it earlier in my life. This course would have been better, if taken prior to actually filing for bankruptcy. I wish I had this information when I first started using credit. I believe the credit industry should require new/1st time credit users to complete this or a similar course before receiving credit. Helpful in understanding how to deal with some unexpected downfalls that can lead to damaging your financial future. We are so happy for this course, and we believe it will help us in all walks of life. Thanks a million. I was so pleased with this course and it was very, very helpful. I wish people could have this course even if they were not filing for bankruptcy. I was pleasantly surprised by some of the things I learned. I believe everything works for a reason, and I will definitely come back to this site to learn some more. Thanking you very much. Thanks, this was very helpful. Wish I would have used this tool before I got into BANKRUPTCY!!!! I’m so happy you had the read out loud option and offered this class online. Thank you so much. Also, I like the fact that I can go back and review any chapter online for free. This course was a real eye-opener and will help me with my finances in the future moving forward. My wife and I would like to say thank you to Money in Motion. We will definitely keep up-to-date with you as our favorite website. Thank you so very much. You will be recommended to everyone we know. We really like the idea of a budget and will use this and other tools to really make a difference for our financial future. I feel this information will help us get back on our feet. Very helpful in understanding our situation and rectifying it. There was a lot of excellent material covered. Thank you for creating an enjoyable and entertaining course for what is usually a very dull topic. We thought the course was very helpful. It helped us remember things we have learned before and we learned additional information as well. Thank you for all the useful information. I know I will refer back to the program from time to time. This course helped me in such a great way to open my mind to the hopeful future of personal finances and so I can pass it on to my children as well. Thank you. I found all the information I learned to be very helpful. I was not expecting to learn anything new from this course … but I did! And it's information that I plan on sharing with my adult children and one of my co-workers who is always struggling financially. I was flummoxed when I seen how much available cash was left in my budget after all of my expenses. AMAZED!!!! Thank you and God's blessing on all of you who are helping people like me get their financial lives back on track!! Thank you for a good tool that I can use to help secure my financial security. This whole test and course was amazing. I have made some poor decisions in my life to get to here, but have the right attitude, goals and tools now to balance my life. Thank you so very much. I am grateful for the vast information that was put together to help people like me. It's an eye opener. Thanks for working so tirelessly to help people who are ignorant in money management. So much material to digest in a short period of time. WOW. Quite a few interesting suggestions. I printed out some things to have as I proceed. This course was really helpful and I believe it will help me budget my finances in the future. Thank you for providing a realistic and practical course that applies to a vast majority of people that are filing bankruptcy. Thank you for your interest in my financial well-being. Thank you for this info. It opened my eyes to a lot of things I was not aware of. This course was great!! Now, I have some very handy tools. I really learned a lot from the program. I wish I had got this information a long time ago. Perhaps things would have been different and would not have found myself in this situation. Thank you. This course helped me to begin to think about goals again ... and starting over. (Thank you). I like the course because it explained about the different types of insurances and loans that I did not know about it. I did learn a lot going through this course. It should be taught in all High Schools as a prep to the real world. I have printed the chapters and intend on re-reading them to help re-enforce building better habits. I was surprised at how I really enjoyed the course. I learned quite a lot. I would be interested in budgeting tips for seniors that receive income only once a month, like myself, which is how often I am paid. A lot of the budgeting tips were applicable to people who were employed and paid on a weekly basis. I appreciated this course online, so that I was able to start and stop when needed. It was a lot of material to cover. I learned quite a bit, even at my old age. What I did know, it was great to go over and review some areas that was forgotten. Thanks again. I found this course, long, yet VERY helpful. I've heard this all before, but it is wonderful to have a refresher course. Since my divorce, bankruptcy, and a life style change, is it a good tool to use to keep me on track to where I am and to where I intend to go. Thank you. I enjoyed this course. I feel I can use the information in my everyday life. I started this course as just a way to finalize a bankruptcy, but ended up learning things I wish I had known or thought of years ago. I thought budgeting was crunching down, not being able to spend a penny, but this has taught be differently. This course was just amazing…I should have known about this many years ago to not become desperate and use my credit cards to pay my bills. This was a great lesson. Thanks. I thought this is a very good course. I learned a lot of information. I think everyone at some time ought to go through this. It’s a good education program. THIS COURSE WAS VERY VALUABLE. WE WOULD HIGHLY RECOMMEND THIS COURSE TO BE OFFERED TO ALL HIGH SCHOOL STUDENTS. This was a good course and I wish it was available to me before I got into debt and needed to file bankruptcy. At first, we were unsure if this course would be helpful. After taking this course, we found it very helpful. Thank you. This is something good for everyone to take. This will help in understanding how you can keep from getting into money problems or debt. This helped me to also know I did all I could before having to file for bankruptcy. Also refreshed some of the financial information that wasn't as clear. This was a great help!! Thank you. Thanks so much ... Really enjoyed the course. Great program as an educational tool! This was extremely helpful. I am so glad I took the course. Thank you. Thank you for the course it was helpful. This was easy and fun. Thank you! Thank you much for helping us with this. The course was very informative and extremely helpful! Great course. Learned a lot thank you. Thank you. It was good to learn things I can use in the future. Some of these hints could have helped pre-bankruptcy. It was a good helpful and interesting course. This course was really helpful and I retained some really important information on budgeting and setting goals for myself that are reachable. Excellent course. I highly recommend. The course was mandatory, but I found it very interesting. Very easy, informative and helpful. I will absolutely talk about this institution and the help received to help me clearly to understand things I thought I understood previously. Thank you. Maybe add a chapter on what happens after you file for bankruptcy. Rebuilding credit (in more detail) what steps do you take after filing, how long you wait before you apply for some sort of loan, etc. THIS COURSE WAS A GREAT HELP. I LEARNED A LOT OF HELPFUL INFORMATION. This is a really good course. I recommend this course to people in general. This was a great course. Interesting and informative. Learned a lot. I will have input to the household and will create a personal budget. I appreciate all the information in this course. I enjoyed this class. It was very helpful! This information has been extremely helpful, and I've learned several things I will practice in the future. Thank you! Course was very helpful. Thanks for having a program like this. Thank you very much for this learning opportunity. I have learned so much. Thank you for the Excel interactive tools-they were helpful! WE FOUND THIS COURSE TO BE VERY HELPFUL. THANKS FOR ALL THE INFORMATION GIVEN HERE. VERY BENEFICIAL. Course material was very helpful. Good course. Each chapter was very informative. Good course would like to see more on post-bankruptcy rebuilding credit. I thank you all so much for this class. I learned so much. May God bless you all. Keep up the awesome work. I will definitely recommend your organization from my friends. Great course and I found it very useful. I found the audio option very helpful as I read along. It was a very informative and helpful course. Thank you for providing us with this course as a tool for us to better manage our finances as we move forward. Great course! Thank you for all of your hard work! Great information to learn how to stay out of trouble. I found this course to be highly informative and I will be applying what I learned to better my financial future!! Good practical information provided in this course. Very relevant material. The course was very helpful and will help in the future. I feel the course can help in my future. This course was excellent, easy to follow along and learn from. This program had some great tips and knowledge of managing your money to make you successful. Thank you. THANK YOU FOR THE CONVENIENCE. This is a very good and helpful program. Thank you! When to start building your credit is something I would like to know about. I like the way it explains everything, it made it really easy for me. Thank you, I think this is a good course. The course contained beneficial information and gave realistic examples. This course was very good and opened my eyes about all the wrong things I am doing, and it gives me an opportunity to move forward and change my financial problems. We have found this course to be extremely informational and very helpful. Thank you for this information. A well designed online course and helpful. I appreciate this course. I firmly know that it has helped me. I realize now some of the downfalls I have been experiencing for some time. I have been through a hard financial time for the last 1.5 years, but I also see where I have made financial mistakes even prior to losing my job in 2012. Thank you! I REALLY ENJOYED THIS COURSE. I LEARNED A LOT FROMTHIS PROGRAM AND I WILL RECOMMEND THIS COURSE TO PEOPLE WHO ARE HAVING FINANCIAL PROBLEMS. This was very essential and it gave me a lot of information in regards to saving and doing things that will help me build my credit to hopefully become a homeowner one day. This course was very helpful in the way that it showed us how to manage our money, set goals and priorities. We never thought this course would be so helpful and interesting. Thank you. A great and very helpful on-line course! I learned quite a bit about budgeting and setting goals! Thank you so much, this was very helpful. Great course!! Loved the forms available. I want to say thank you for everything…I know I got a long way to go to improve my financial knowledge to better manage my financial matters. God bless you. Thanks again. I'm glad to know that there tools such as this course to enlighten and educate individuals as to how to manage their money and budget their life! Thank you for allowing me to do this course online with your company and teaching me things I’m sure I knew, but just never used in my day-to-day living. I wish there was more about what to do after a bankruptcy. I feel confident now that I will be able to set goals and stick to them. This course was very helpful! Thank you for offering it. I have learned a lot via this course. I feel I will use it towards my financial freedom. I learned a lot from this course and will apply it to my everyday life. The course was very informative and I will utilize the things I learned. Great course. I could use a little more information on reconciling a checking account. I’m 30 years old and I still struggle with it. In fact, I don’t usually do it at all! This course has really helped me to take a good, hard look at my finances. This is a great tool for better budgeting. The course had so much good information. I am glad I will continue to have access in the future. More information regarding building credit after filing bankruptcy. What are the rights of the individual. This information should be pre-bankruptcy. At first I was annoyed that I had to take this course as part of my bankruptcy procedure. I was pleasantly surprised at how beneficial it was to me! I am grateful that I will be able to go online and review the information presented. I feel empowered with the information and hopeful that I can get my financial life together. Thanks for your wonderful course. It was a valuable learning experience for me. Have a great New Year! This course was helpful and I will use what I learned to make a fresh start. This course was very helpful to me. Being that I recently got married in April, this helped me on having the knowledge I needed to start my new life. Thank you for all you help. I will be reviewing this material again. I wish that I had known or understood how helpful this kind of course would be ... it is definitely for everyone. Thank you for the review site. We were very impressed with the content of this course. It should be given to people when they enter the job market or just out of school, whether they get through high school or college. If we had this earlier in life, we may not have faced bankruptcy as our solution at our age. This course has been extremely informative and helpful. I will be encouraging friends to take it. Very good course and easy to understand. Very revelant. Enjoyed the course. Thank you. Hello, I am really impressed with on-line course!!! Very impressive!!! Thanks again for helping my wife and me to understand more budgeting and etc. So THANKS AGAIN!!!!!!!!!!!!!!!!!!!!!! This course was very helpful to me. I believe I can maintain a good budget for the rest of my life and help my family members to do the same. The course was good to help me understand what I had done wrong with my money. Found this interesting and useful. I learned so much through this course, I am amazed! Thank you so much! Very informative and presented professionally. Thank you for the course, the information is useful and I will use it to improve my financial and personal life. This course has helped me understand on how to budget my income more efficiently in the future so as to prevent this type of problem again, regardless of what happens with the economy. Being able to print the pages and listen to the audio made it very easy to absorb and remember what I was learning. Thank you. We are 72 and 78 yrs. not too savvy on computer skills but learned well. A very helpful course. Am sharing it with our children. Thank you! Many thanks for the ease of doing this on-line! Thank you for making this so easy and helpful! Good program. I liked it and learned some important facts. I also spent time thinking about my financial life and how to do better with money management. This course gave me a lot of insight. Thank you. Very helpful. It would benefit everyone. At first I thought this would be a bit boring, but was I ever wrong!! This course was very interesting and helpful. Thank you so much!! Good day this online class was awesome. A good grounding. The fall I made was large. Getting back to the basics is grounding. This course was very helpful even though I am 70 yrs. old, retired and on a fixed budget. Very helpful even though I knew most of the material. Very good content. Wish I had this course years ago. I am interested in rebuilding my credit. Thank you for all your help in teaching me to be a better steward of my finances, God bless! This course was good gave me a lot of information. Will use this to better my outlook on how I spend and save money. Overall information was very helpful and prompted me to check out suggested resources. I like the idea of using savings and other accounts to compound the amount of money you can save. Also, because bankruptcy was my personal reason for this course, I would have liked to see more information for rebuilding credit after bankruptcy. Thank you. I printed off the material in this course because I found it to be helpful and plan on referring back to it on occasion and when needed. I appreciate your company for supplying all of this valuable information. Thank you again for all of the information offered! I did find it very useful and plan to use these resources to improve my quality of life! Most information in this course didn’t apply to my situation, but all information was helpful and informative. Thank you. I enjoyed this program. It will be helpful to me in the near future. I really enjoyed going through this course. I truly learned a great deal. Thank you. Q.) If I complete this class, will it help my credit score at all? A.) Simply completing the class will not raise your credit score. However, by applying what you learn in the course, you'll learn some basics about improving and maintaining good credit. You will receive a certificate that you need before you can file bankruptcy. Q.) I'm a fast reader. I'll read eight chapters in less than two hours. Can I finish the course more quickly? A.) No, you'll need to spend two hours – 120 minutes – reading the material, taking the pre-test, taking the quizzes in each chapter and taking the post-test. You must finish the course. You can take as much time as you need to finish the course, but 120 minutes is the minimum time you have to spend on the program. The time limit for the course is set by the Executive Office for U.S. Trustees, which oversees the administration of bankruptcy cases. Q.) I'm wondering what I'll have to do after I file bankruptcy so that I can build up my credit. Will I learn how to do that in this program? A.) 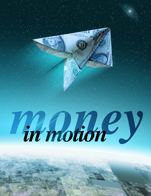 Money in Motion will tell you how to develop and maintain good credit. If you want more information after you finish Money in Motion, Financial Education Programs has a course called Rebuilding After Bankruptcy: Seven Steps to a Better Future. That program tells you, step by step, how to stabilize your finances and re-establish credit after bankruptcy.